I've loved everything I've tried from Mario Badescu from the Drying Lotion to the AHA Body Soap so I felt it was about time I saw what else they had to offer. While my skin has been great on the acne front, I've been having some trouble with dry patches and blocked pores so I picked up these two products to give me super soft, smooth skin. 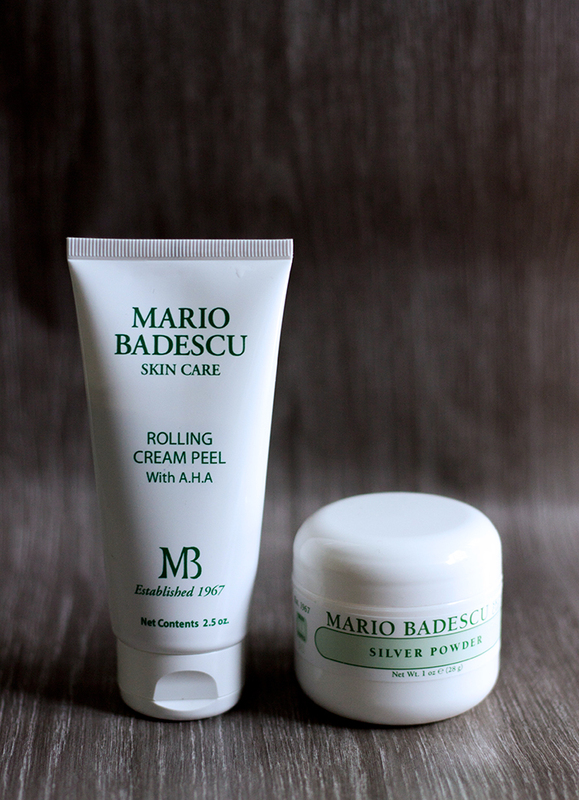 I feel like Mario Badescu always come out with the most bizarre products and the Mario Badescu Rolling Cream Peel AHA is no exception. This is basically an exfoliator for your face which contains no harsh beads or the gritty salt/sand that your typical exfoliator would contain. Instead it uses the power of AHA's to exfoliate the skin, remove dead surface cell layers and deep cleanse the skin. You apply it like a moisture mask with a thin layer then once it's dried a little for around 5-10 minutes, you rub your skin with clean hands until little rolls of product start falling off your face. It sounds gross but it's so satisfying! With the rubbing I feel like that really helps boost circulation in your face and I've never had such soft, smooth skin in my life. Sadly the effect doesn't seem to last too long so it's best to use it 1-2 times a week for the best results. 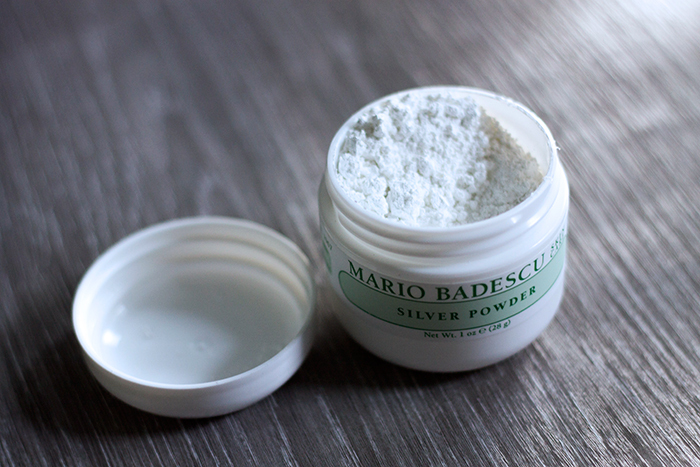 A product I'd heard people talk about a lot was the Mario Badescu Silver Powder, a treatment for blackheads which helps unclog pores and soak up excess oil. Perfect for my oily, spot prone skin! I'd say this is most like a clay mask but in powdered form. All you need to do is soak a cotton ball in water, dip the moist cotton ball into the powder and dab the paste onto your problematic areas (usually my T zone for me), let dry for 10 minutes then wash it off. 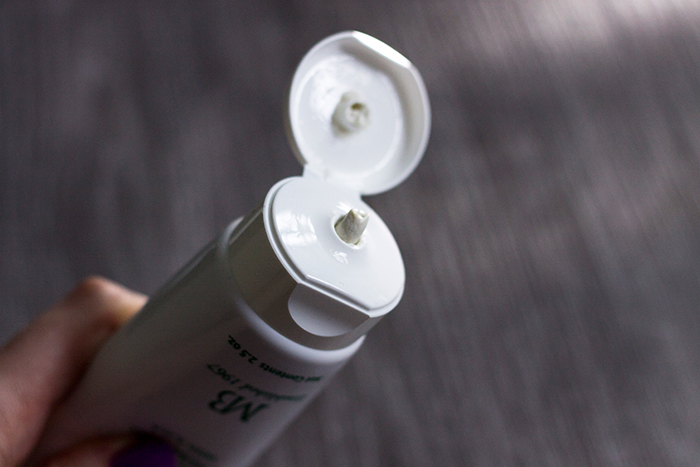 I could really feel the difference in the way my skin felt, it soaked up excess oil like nothing else but it wasn't as effective at clearing blackheads on the first round. Perhaps with regular use it will keep blackheads at bay but I'll enjoy using it when I feel like I need to remove excess oil. Overall, I'm really happy with my purchases. It's always a gamble whether skincare products will work for my skin so I'm really happy that these products didn't cause any irritation and actually made a noticable difference, even on the first use. If you haven't tried Mario Badescu products yet, give them a go!